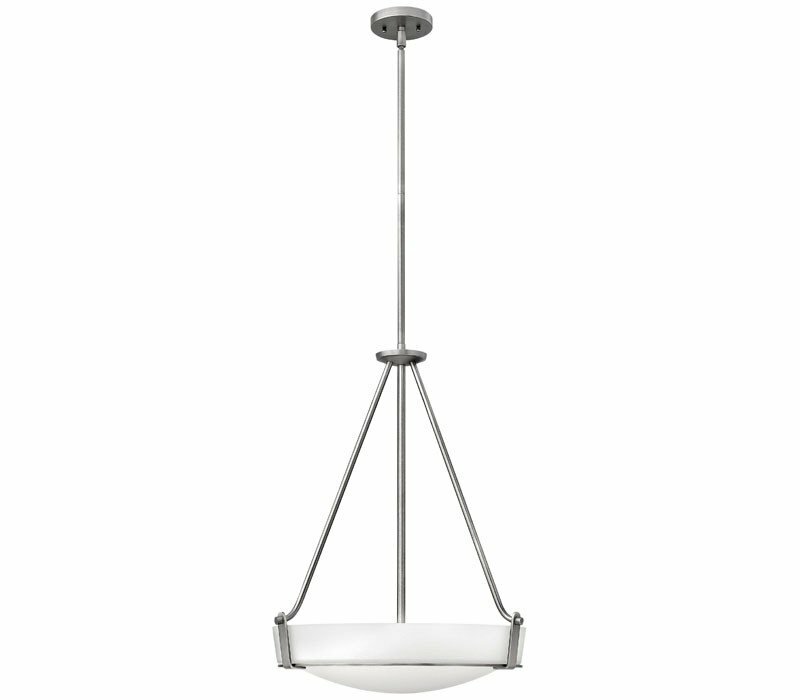 Cord: 120", Max Height: 62.25", Downrods: 1-6", 2-12"
Cord: 120", Max Hang Height: 62.25", Downrods Included: 1-6", 2-12"
Hathaways striking design features a bold shade held in place by three intersecting, floating arms with unique forged uprights and ring detail for a modern style. 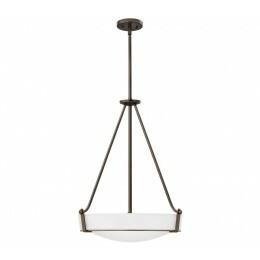 Available in Antique Nickel with etched glass or Olde Bronze with etched amber glass. 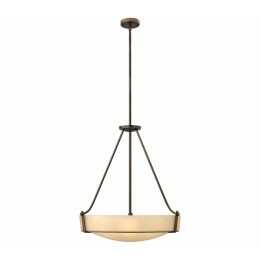 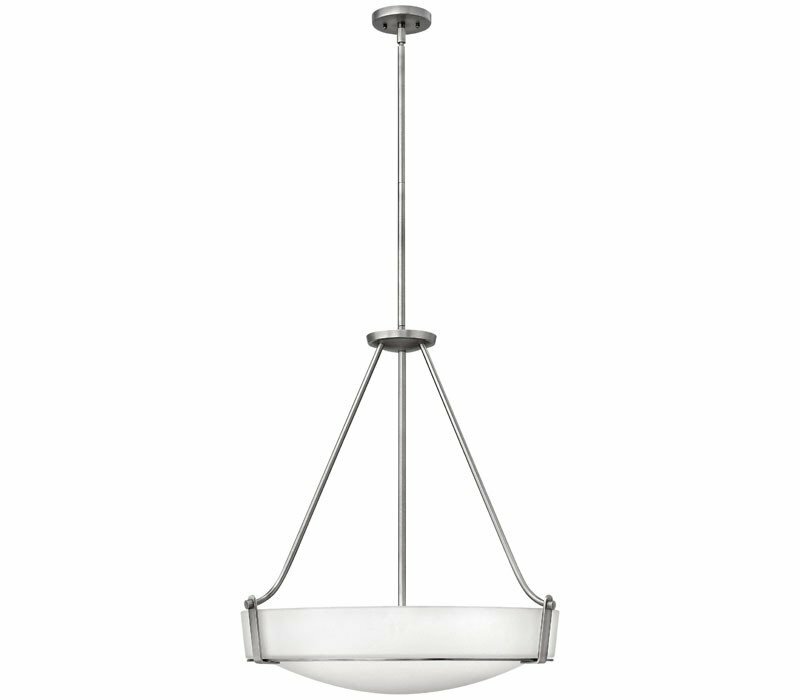 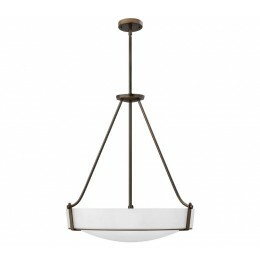 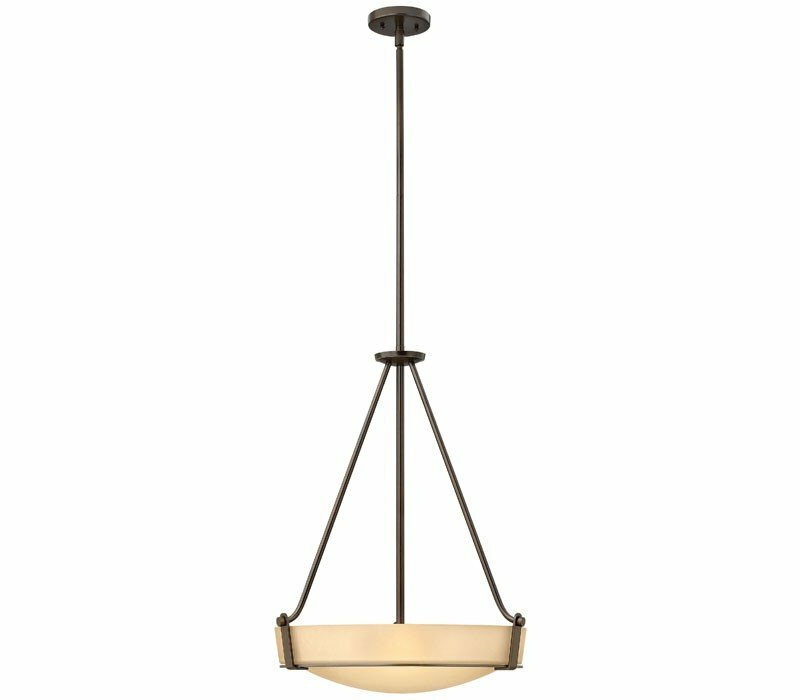 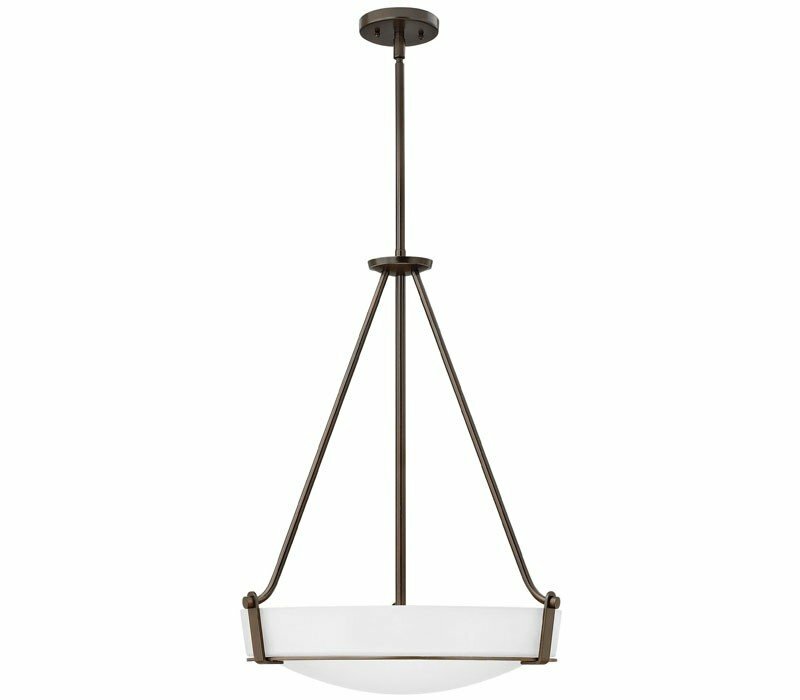 The Hinkley 3224OB-LED Hathaway collection Pendant Lighting in Olde Bronze uses LED light output and brings Modern style. 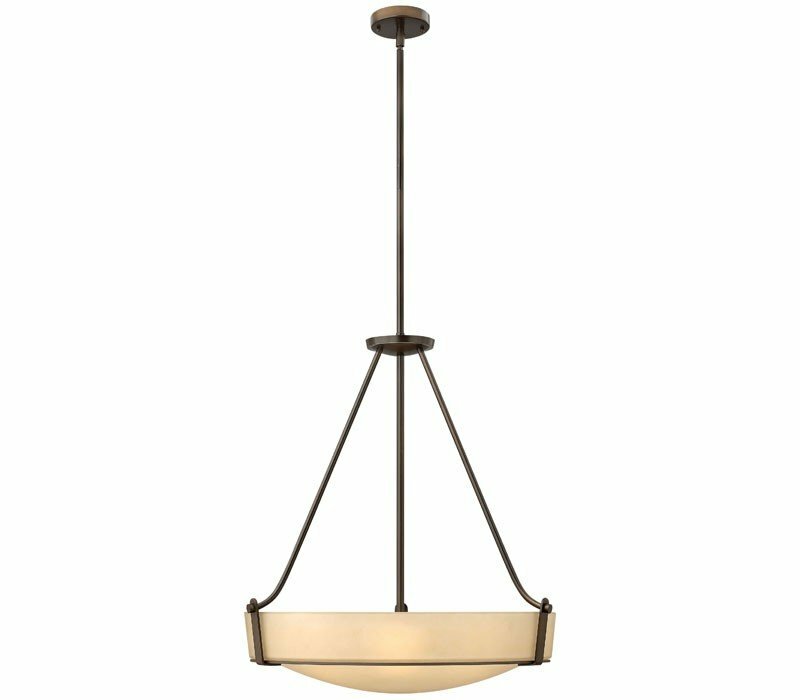 This item is 29.25"H x 26.75"W. The wattage is 64. 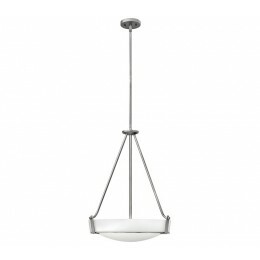 The Hinkley 3224OB-LED requires 1 bulb (included). 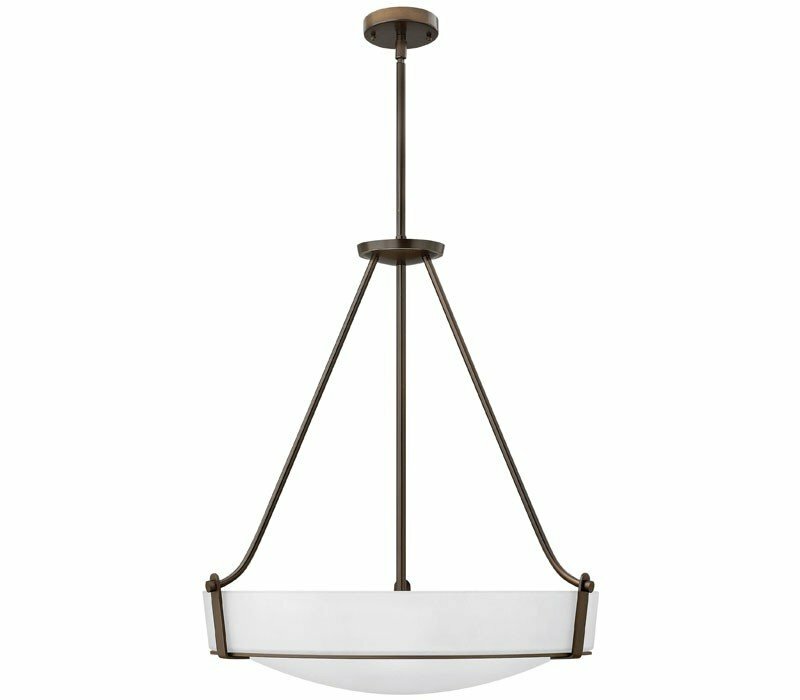 Additional Information: Shade-Etched Amber Glass.